As a child I once asked my dad why there was no Kid’s Day. After all, mothers and fathers each had a special day. He told me every day is Kid’s Day, and now that I’m a mum, I know exactly what he meant. Even though there’s a day just for mums, there will still be nappies to change and toys to pick up. Luckily we’ve discovered just the thing to make it all better. Hello new jewellery! StyleRocks is an Australian designer of customisable fine jewellery. Their whole collection is online, which is handy for those of us too busy to browse the jewellery store, and dangerous for those of us awake for a 2 am feed, when a new diamond ring sounds like an excellent idea. 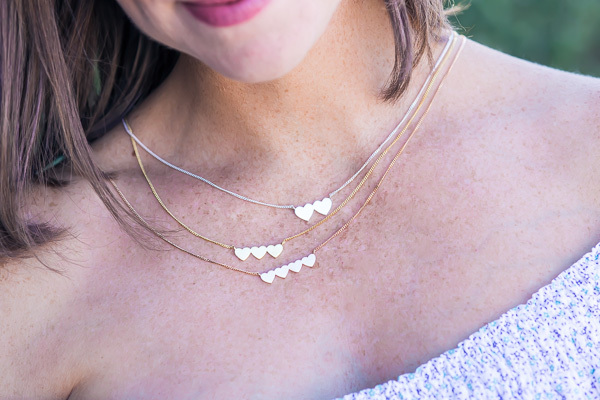 The Joined Hearts Necklace ($240-$970) is a perfect gift for Mother’s Day, and we’re spoiled for choice with the customisations. 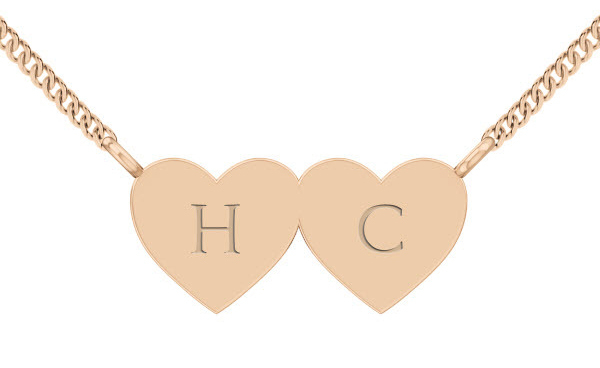 There are combinations of two, three and four hearts, on each of which you can engrave the initials of your little ones. There are three scripts to choose from for engraving, the necklaces come in silver, yellow gold or rose gold, and there are also three different chain lengths. Your heartbeat was the one of the first sounds your children heard, and these gorgeous necklaces are a beautiful tribute to that bond. Drop a hint or treat yourself. Browse the entire collection and order your favourites over at StyleRocks.